Themed sessions for care homes, nursing homes, hospice and hospitals. Suitable for groups. Group members can play along on a harp, sing, tap, sway, play percussion or observe, while Alice plays the harp. Alice adapts her approach to enable everyone to engage in their own way. Themed sessions provide soothing harp music for clients to listen to using music of different types to provide a soothing atmosphere, music for singing, reminiscence, music to encourage strength, to to remind us of nature, love or gratitude. These themed sessions can be taken to the bedside or chair side for people who are unable to get out of bed and for those who don’t feel comfortable engaging in groups. A chair or bedside session should be long enough to allow the client enough time to relax and feel the benefits of their personalised harp playing (20 minutes is recommended). Individual sessions can include playing duets together with improvisation and familiar tunes. 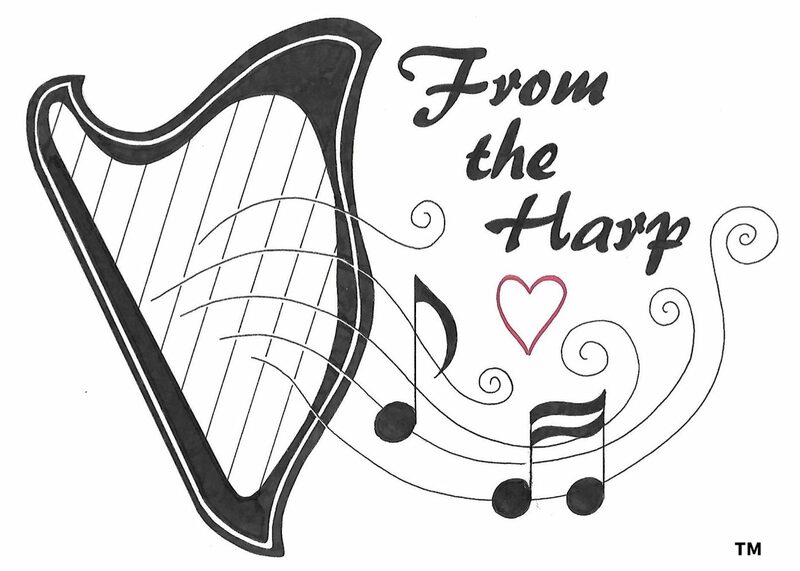 This can be done on one harp held over the bed or chair or with two harps if the client is able to support the harp or play it on a table top. These songs are beneficial for people living with dementia, uplifting songs from their past can have amazing effects on their overall well-being. Music from their past when memories were embedded, can help to improve mood, awareness, understanding and offer a sense of identity and independence. These song are for those that seek calm, the melodies and lullabies are good for a support group seeking deep peace or to create a calming atmosphere in a home. This music can provide a sense of peacefulness and reduce anxious feelings. When we are facing difficult times, we need to be strong to keep going in the face of adversity. Music can lift spirits, clear minds and remind us of the courage within. These songs are for increasing positive energy, and for getting fingers and feet tapping. Useful music for rehabilitation centres and cancer support groups. Nature has a therapeutic effect, and can be healing. Being outside can sooth us and make us feel more whole. These songs provide a link to nature for us and are beneficial for anybody who has difficulty accessing the great outdoors. Hope lifts us and inspiration can help us to overcome our troubles. These songs remind us that we are not alone, light can be found in the darkest place. These songs are effective in lifting the spirits. Love is linked with beauty and we love what we find beautiful. Whether we love another person, our family, our pet, our country or our home it makes us unique as we find beauty in different places. These melodies recall us to those experiences of love in our lives and help to express these feelings. Poor physical or mental health and emotional difficulties can test our faith, and deepen it. At troubled times in our life we often find more things to be grateful for. No matter what our spirituality music can lift our spirits and confirm our faith in a power greater than ourselves. These songs provide support for seeking spiritual solace. Seasonal songs including In the Bleak Mid Winter, Carols, tunes from Swan Lake and the Nutcracker and songs to sing a long too. We wish you a Merry Christmas is a great one to sing along too, and other more soulful tunes are good for quiet time and reflection.